Dr. Kim is amazing. Very professional and knowledgeable. His reception associates are the nicest and sweetest people ever. Dr. Kim and his team are very professional, kind, and helped me to get me to a specialist for my rootcanal. Dr. Kim and his team are very professional, kind, and helped me to get me to a specialist for my root canal. 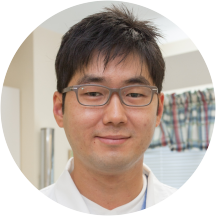 Dr. Dae Ho Kim is a General Dentist in Towson, Timonium, Cockeysville and Batimore area. After completing his dental education at the New York University College of Dentistry, he served in the US Military as a captain dentist for 3 years. Experience at the US Army for Dr.Kim was very meaningful and helped a lot in his career. Dr.Kim takes great pride in keeping up with the latest technologies such as dental implant, sleep apnea appliance, cerec dentistry, and etc, which allow him to deliver comprehensive care with a gentle touch. Most of dental emergency visit can be treated on the same day. Dr.Kim is married with one child and he likes to play golf, basketball and swim. Dr. Kim and his staff are great in every sense and provided me with high-quality dental care. I had 2 teeth pulled and one filled. I hate needles and Dr Kim gave me 3, I think. They were expertly administered. He's very straight forward and his staff are very efficient. I would recommend him for sure. Very thorough and straight to the point. He and staff are very efficient. Very good doctor. Reliable and knowledgeable. .good staff. Clean office. I am very happy to find him. They took excellent care of me, and were efficient! They did not try to upsell me into additional services or products, which I appreciate. Had a great experience and plan to keep Dr. Kim as my regular dentist! If I didn't move back to the South, I would be a patient at Dr. Kim's office. My reason for visit was a filling on the tooth that was chippped. I came in to Kim’s office, the secretary was very nice, not rude like most, helped me with all questions I had and was able to work withmy schedule. When Dr. Kim seen me for the filling, he saw that I had a wisdom tooth that was causing damage to the other tooth that had a high potential of being infected. After all the visits that I’ve been to, No one seen that problem but he did. Immediately after filling, I scheduled a wisdom tooth extraction. Appointment was not long, he took the time and patience to make sure he didn’t hit a nerve while giving anesthesia and removing the tooth. Two weeks later, came for sticklers removal. It literally took less than s moment. Appointment was for 9am, I was seen 10 minutes earlier. It was the best experience that I had with the dentist office. Excellent customer service!!! Dr. Dae Kim was super kind/nice/polite, all the great things you can go over. He definitely helped out a lot and went over a lot of my questions with great patience. I am definitely happy with my visit. I highly recommendDr. Dae Kim for any dental visits. The other reviews were right for a reason. All of his staff as well were awesome!!! Looking forward to my next visit. Thank you team! Visit was great. Did a later appointment so I did not have to take off work and waited for less than 10 minutes. Everyone was friendly and I will definitely be returning in 6 months. I? was late due to traffic. When I? arrived to location I?t took me 10 mins to find the actual suite. The office is hard to find if I?t is your first time. I am such an anxious person when it comes to dentists. I hadn't been in quite a few years and was so nervous about it. Everyone in the office was so friendly and put my mind at ease that I wasn'tgoing to be judged. I will be going back; already have my next cleaning appointment set up! I have always been TERRIFIED of the dentist. I took a chance and decided to see Dr. Kim, and I will never go to another dentist! His calm spirit helped me to relax and the work he did didnt take longerthan an hour! He was absolutely excellent! The staff is GREAT!!! Dr. Kim and his staff were just plain fantastic! Great, he put a crown on a tooth. Very professional, no problems. I'm not exactly brave in the dental chair, he handled by anxiety beautifully and made it as pain free as possible. Very cheery. Dr. Kim and office staff was extremely welcoming and informative. Dr. Kim was really helpful. He guided me with correct procedure & medicines. He is profession & knowledgeable. He was up front, and very polite. I will make this a permanent part of my dental plan. By far the best dentist office I've ever been to! I'm sure most people can agree that going to the dentist isn't fun, but I look forward to it now! I had to get 2 root canals after being without dentalcare for a period and found Dr. Kim on this site. I am so happy I did, I feel so comfortable and trust the whole staff. You can tell they really care about their patients and it truly makes their practice stand out above others I have been treated at. As always, a pleasure ! Dr. Dae Kim was very thorough, detailed and quick with solution. Really nice guy! I had an absolute horrible toothache and he was able to help me tremendously, same day as my appt. His receptionist was super sweet as well. Dr.Kim was very nice, and so is al of the staff. I felt very welcomed, even on my way out. I was in and out within 60mins (X-rays& cleaning) I have to get a root canal, so I'll let you all know more after than! Wow! I have anxiety around doctors but everyone was so nice and gentle. I had to get 2 cavities filled and was really anxious. I was done without any pain at all in literally 10 mins. Thank you Dr. Kim! Great dentist - very caring, excellent attention to detail; he helped me very much by repairing damage another dentist had done. I'm very grateful. MY VISIT WITH DR DAE KIM WENT WELL. Super friendly, professional, alert to patient concerns, clear explanation of cost of services, and he's available on Saturdays! What more could you want from a dentist? Dr. Kim was very friendly, thorough, and helpful. This was probably the first time I left a dentist's office without feeling like I had been scolded like a child for not taking enough care of my teeth. He treated me with courtesy while still doing his job well. Very gentle, caring doctor. Took so much time with me, very patient! He removed my wisdom tooth in like 10 mins and I hardly felt it, even though I'm terrified of such procedures. He's also honest and charges reasonably, doesn't dounnecessary procedures, which is so important!! Totally recommend him and his office. Superb Dentist. Look forward to returning to him for my dental care. Dr. Kim was very professional and personable, quick and efficient. I went to get my teeth cleaned over lunch and was out with time to spare. Saw me right away at the time of the appointment. Puts you at ease. Explains things very clearly. Would definitely recommend! Overall, he's a friendly dentist who is great for someone who hates going to the dentist. Bonus: Is metro accessible. He was professional and explain all medical process that needs to be done. Dr Kim was very professional and extremely nice. Explained everything to me before performing the procedure. I highly recommend him! Dr. Kim is great. He utilized the time very well and got as much as possible done during my visit. He explained the treatment plan and my options very clearly and answered all my questions patiently. He's a keeper!